It seems that just days after Google introduced an Android OS based TV as well as partnerships with Sony to produce Android powered TVs, Engadget is reporting that a source “very close to Apple” has provided them with details surrounding the next Apple TV. 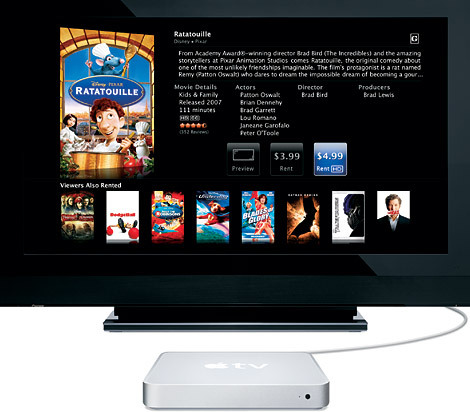 While this isn’t much of a shock to anyone, a reported $99 price point makes the idea of a new Apple TV with an iPhone OS 4 like user experience much more intriguing. Apparently the next iteration of the Apple TV has been in the works well before Google made its announcements and will provide users with an iPhone OS-like experience. The specs read quite similar to the iPad and will run a version of iPhone OS 4 with internals including an A4 CPU, 16GB of flash storage, and apparently only features minimal ports including video out and a power socket. 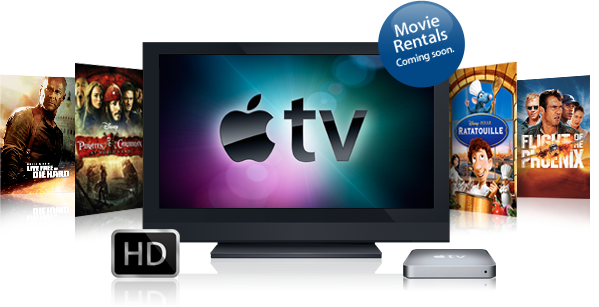 However, unlike any previous iDevice running iPhone OS, this new Apple TV is reported to be capable of full 1080p HD. We assume that the App Store will also be included in the iPhone OS 4- like operating system (it better be). Its also being reported that the device will move away from local storage and, not so surprisingly, focus on cloud-based storage and streaming. It would seem that Apple is moving the ATV away from being a hobby project and unlocking the potential of iPhone OS 4 in the living room. Imagine browsing and using apps on a 50 inch plasma…One immediate thought comes to mind, how will the experience translate to a non touch screen device like the average users TV? If there is an App Store included in the new ATV, it will certainly open up the floodgates to developers for designing new apps to fill up those big screens. While its being reported that there won’t be any announcements about ATV at the upcoming WWDC, you can expect development to continue full force. iPhone OS on a device with no touch functionality. What a ridiculously stupid idea. Next Entry: Re-branded Samsung Galaxy S Coming to AT&T?